Throughout the years, we've been able to stay focused on delivering strong customer service by sticking with our priority of customer satisfaction and developing home grown talent from within to master our responsive approach. Our experienced team, of employees, is very committed to superior service and first rate work. We have the qualities you're looking for in tire & automotive repair service; Quality Parts, Quality Technicians and Quality Service. We install quality parts. 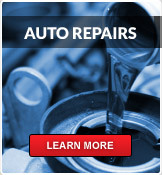 We employ ASE-certified technicians with the knowledge and skills to fix your vehicle right the first time. We have the tools, technology and expertise to do the job right. We tell you about expected costs up front and we operate by a written Code of Ethics you can trust. We respect your time and value your patronage. We try to give you something extra...extra quality, extra service, extra value. 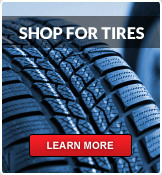 We work on making our stores the place where you feel comfortable to bring your vehicle.